So, here is the recipe I tried in the crock pot for Superbowl Sunday. ...I am now 0 for 2 with the crock pot. I think my downfall was using frozen chicken wings, because the ice on them became water, I guess, and the result was pretty much BBQ soup. I should have defrosted them and dried thoroughly, before adding them to the crock pot. But here is the recipe. Joe still ate several of them, and said they were good ( ...yeah, I don't eat wings ;) ), they just had to be dipped in BBQ sauce/hot sauce/ranch because all the sauce washed off in said soup. After he ate a few, I drained most of the liquid, added more of the sauce mixture, and put it all in a large skillet to reduce. 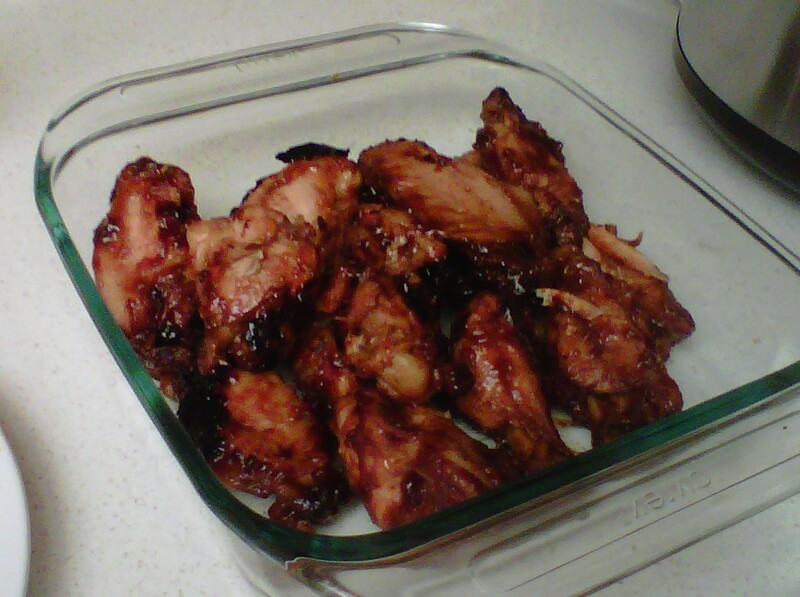 Rinse chicken wings and pat dry with a paper towel. Cut off and discard wing tips, then cut each wing at the joint to make two sections. Sprinkle wing pieces with salt and pepper; place wings on a lightly oiled broiler pan. Broil for 10 minutes on each side or until they are browned. Transfer chicken wings to crock pot. In a bowl, combine barbecue sauce, honey, spicy mustard, cumin, Worcestershire sauce, and Louisiana sauce. Pour sauce over chicken wings. Serve with ranch dip if desired.